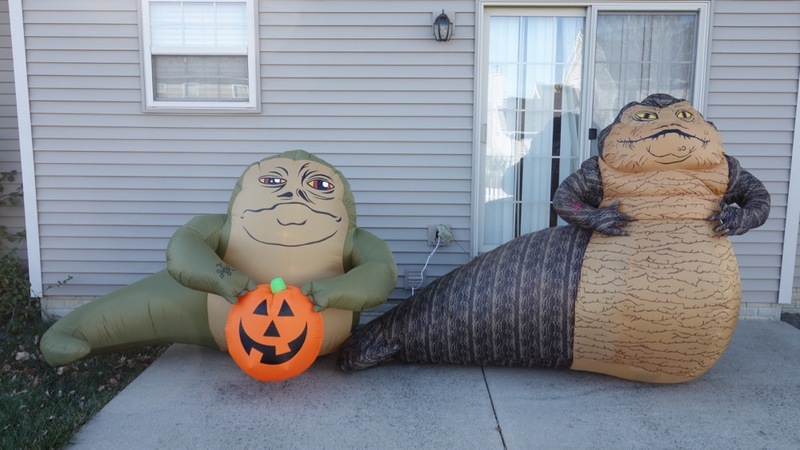 When I first heard about the Morbid Enterprises inflatable Jabba, I hadn’t seen a picture of it. 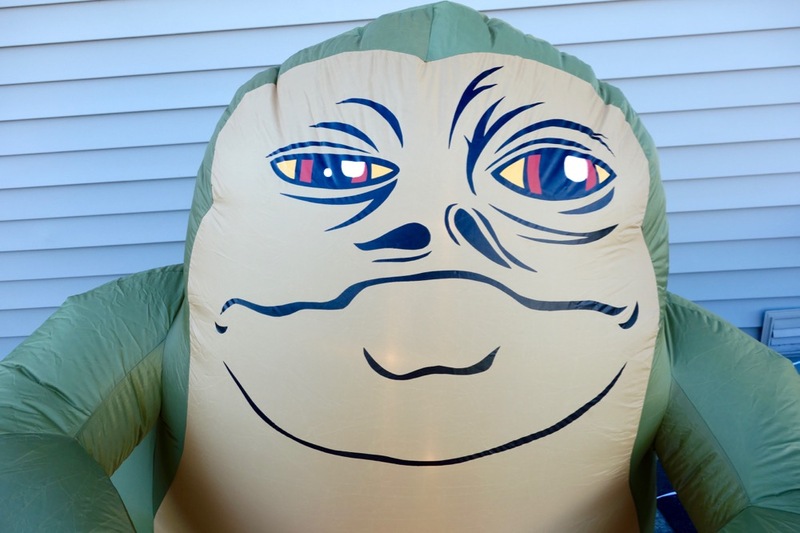 So when a picture of this Jabba showed up online, I naturally assumed that it was the Morbid Enterprises product. But no, in fact this is a completely separate product made by Gemmy Industries (who also put out the plush Halloween greeter I posted about a while back). 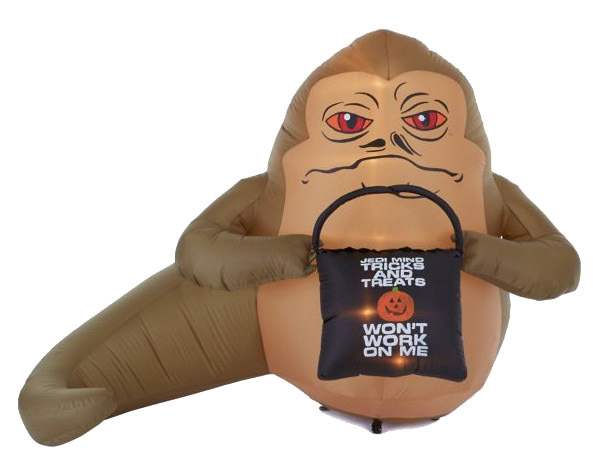 Who would’ve thought that we’d have two completely separate inflatable Jabba products released in one year! After some research, I discovered that it was only sold in Canada, which made it rather difficult to get. I did have someone in Canada who looked for me, but they were unable to track one down, so I had to resort to eBay. At least waiting until after Halloween allowed me to get it a bit cheaper. Interestingly, the listing that Canadian Tire had on its website used this photo, which I’m betting is a prototype version of the product. It uses the same “trick-or-treat” bag design as the plush greeter. The face is also somewhat different. As you can see below, it’s a rather different product from the Morbid Enterprises version. It’s a bit smaller, more cartoony, has a different color scheme, and is also Halloween-specific due to the inclusion of a jack o’lantern. I actually prefer this one overall, though. Maybe it’s the color scheme, or maybe the face, which seems to be a better representation of the character. 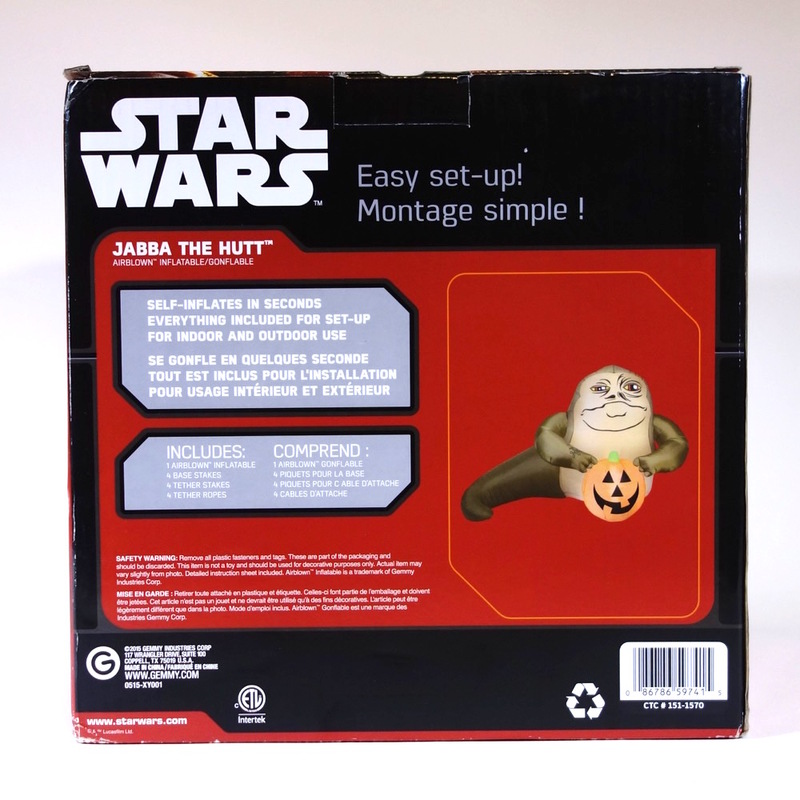 They did include his arm tattoo, which now seems to be on the list of required features for Jabba. 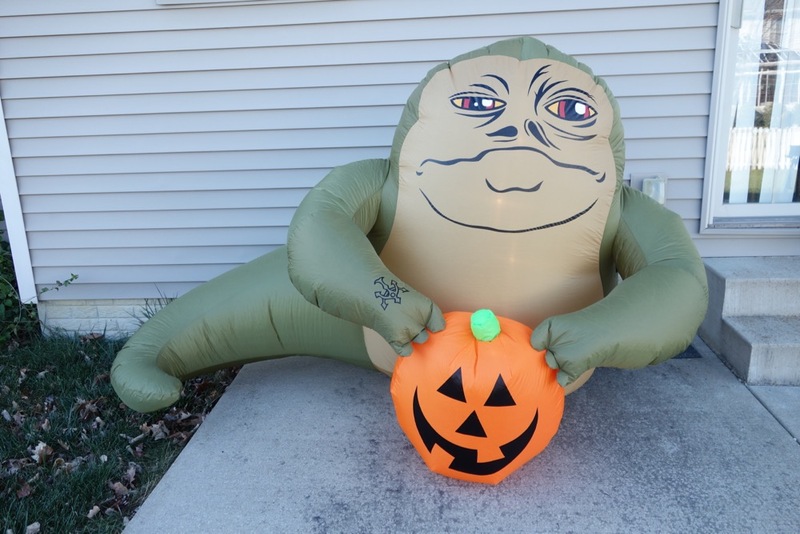 Overall, I kind of wish the jack o’lantern wasn’t included, or was removable, so this could be used at times other than Halloween. I made a YouTube review comparing these two figures, so take a look if you’re interested.